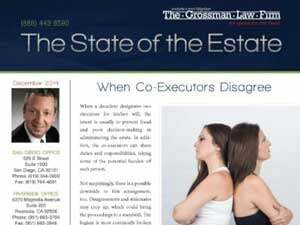 The probate and trust litigation attorneys at The Grossman Law Firm have selected some reliable resources to help you with your California Trust and Probate questions. We also offer a free 30-minute consultation to review what your situation is and what options you have available to you. Having access to information on similar situations is helpful to understand what happens in the court system. We are happy to spend time with our clients discussing in detail everything that they can expect and assisting in the processes they are facing. There are many probate courts in California and these are not the only areas we serve; however, there are a lot of cases in these areas that we handle and we thought this would be useful information. 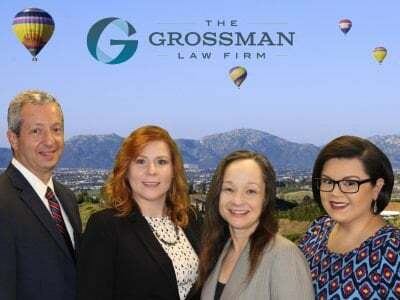 If you need assistance in other areas of California please do not hesitate to reach out to us. Official site for California legislative information. Website of the San Diego County Superior Court including the San Diego probate court and the North County probate court in Vista. 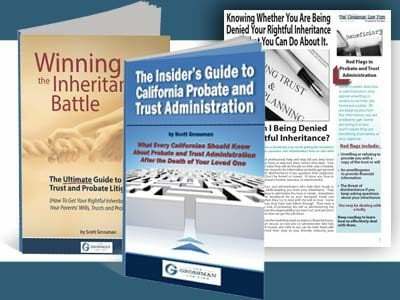 Along with our blogs that are focused on sharing information about the California probate and trust litigation processes and procedures, we thought that these might be valuable links to seek more information. An overview of estate planning tips from CNN Money. The Wall Street Journal has regular features on estate planning and occasionally has stories on probate and trust administration.